It has been very busy here at the Farm. Apart from the usual influx of summer guests, there are the gardens to tend and the vineyard to “tuck”. There is no time to take a break let alone make lunch. To simplify the making of lunches, I prepare vinaigrettes in advance. 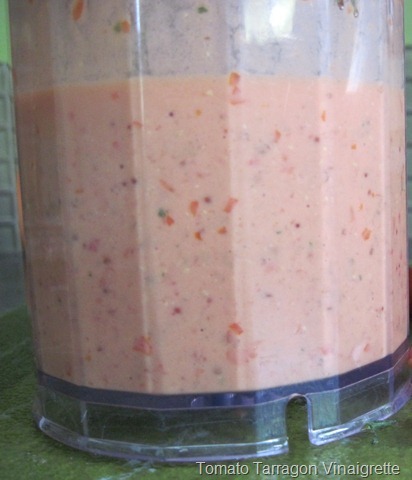 A jar of dressing will last up to two weeks in the refrigerator. At this time of the year we eat a lot of salads. The garden is full of lettuce, radishes, radish pods, borage flowers, rocket and rocket flowers. 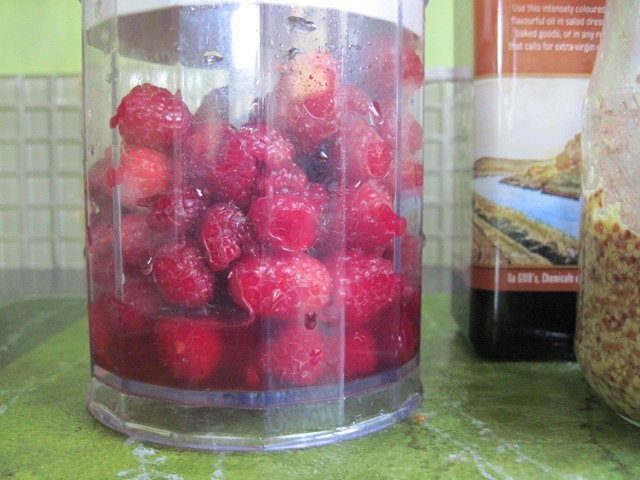 The first of the raspberries were picked yesterday. Our raspberries are a couple of weeks early proof that we are experiencing unusually cool, wet weather. It is not your imagination. 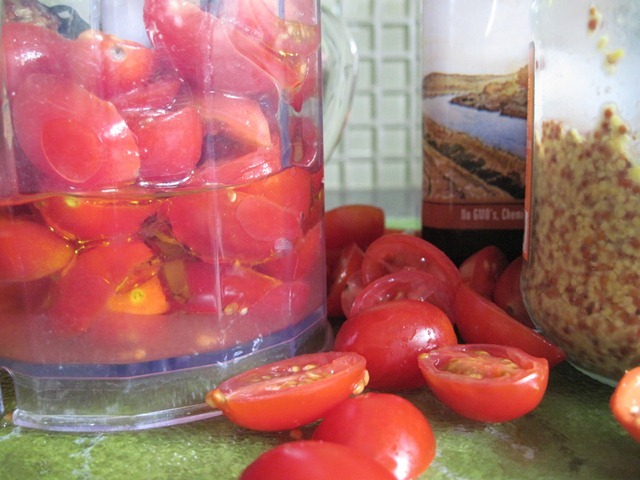 Vinaigrettes need not be complicated and it is easy to make enough for a few days worth of salads. They can also be used on cooked or grilled vegetables or as a marinade. 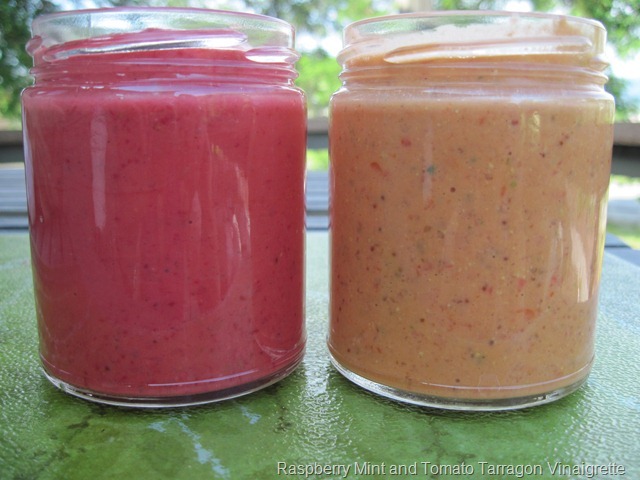 Simply use a jar with a lid and shake to combine the ingredients. 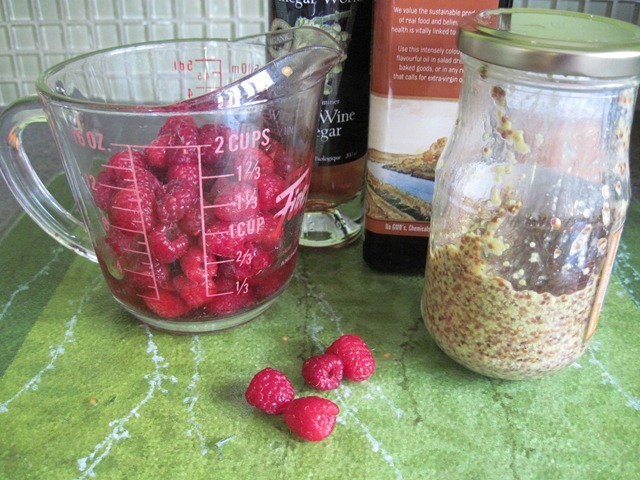 The following vinaigrettes follow a simple formula – oil, vinegar, salt, pepper, herbs and tomatoes or raspberries. Use your imagination and invent your own. 1. 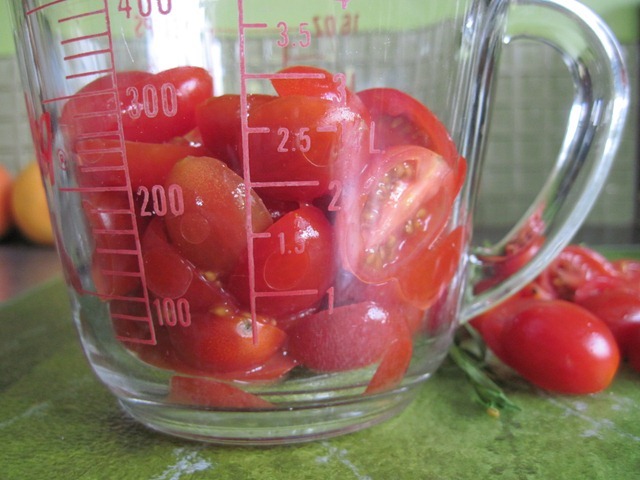 In a blender or emersion blender jar puree tomatoes, mustard, tarragon and vinegar. Blend until emulsified. 1. 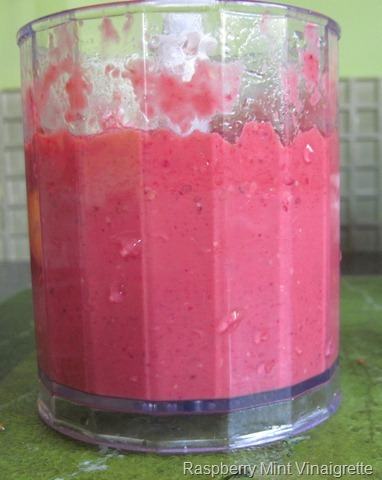 In a blender or emersion blender jar puree raspberries, mustard, mint and vinegar. Blend until emulsified. Fresh tarragon also works well in this vinaigrette.